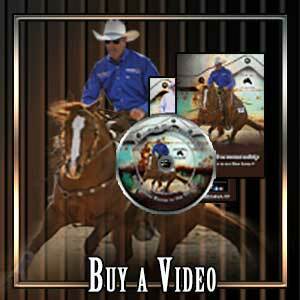 ​For almost 4 decades Richard Winters has been pursuing and perfecting the art of horsemanship. ​For all these years, Richard and his wife Cheryl's motto has been "Enjoy the Journey!” From teaching his first clinic at a junior college in the early 1980s, the Winters’ have literally traveled around the world sharing his unique brand of horsemanship. Understanding horses and perhaps more importantly, understanding people, has been the key to Richard helping literally thousands of people achieve their own personal horsemanship goals. In the summer of 2017 Richard and Cheryl's journey is taking an unexpected yet exciting new turn. Richard accepted the invitation to be "Director of the Horse Program" at the historic and prestigious Thacher School in Ojai, California. This college preparatory boarding school has a 125-year history of academic excellence and strong horsemanship. Thacher has always believed that the challenges and responsibilities of horse care and horsemanship have the ability to teach life lessons that reach to the classroom, relationships, careers and beyond. Check out: https://www.thacher.org/page to learn more about The Thacher School​. 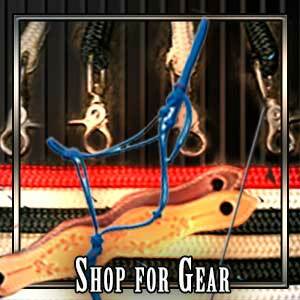 We are very excited to announce a partnership with Weaver Leather of Mt Hope, Ohio. Weavers commitment to quality products along with their personal and professional integrity and character make it the perfect fit for Richard Winters Horsemanship. The company enjoys a four decade relationship with the craftsmen and women of the Ohio Amish community. That craftsmanship and commitment to quality is born out in the products they make. After we toured the facility and met with that Weaver family, we knew this was a partnership that we wanted to forge and develop. Thank you Weaver Leather for allowing us to come on board. For over 35 years Richard has dedicated himself to honing his horsemanship skills and to passing this knowledge on to others. Richard's credentials extend from the rodeo arena and high desert ranches of the west to being a highly sought after horse trainer and horsemanship clinician. Richard Winters horsemanship journey has earned him Colt Starting and Horse Showing Championship titles. Obtaining his goal of a World Championship in the National Reined Cow Horse Association became a reality in 2005. He is an AA rated judge. Another of Richard's horsemanship goals was realized with his 2009 Road to the Horse Colt Starting Championship. Winters was also a Top Five Finalist at the Cowboy Dressage World Finals. 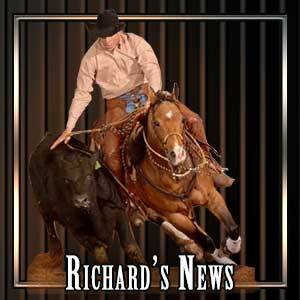 Most recently Richard was a Top Five NRCHA World Finalist in the Open Two Rein. International travels include: Australia, Brazil, Canada, England, Mexico, Scotland, Sweden and Poland where he earned the European International Colt Starting Championship Title. Richard is a "Masterful Communicator" with horses and humans alike. We are honored with the release of Richard's book, "From Rider to Horseman" that was published by Western Horseman Magazine. Richard and his wife Cheryl currently reside in Ojai, California, and invite you to "Connect" with Richard Winters Horsemanship on Facebook and YouTube. 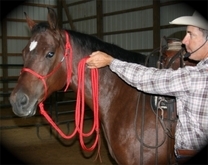 You can also read Winters' horse training articles, published monthly, in many horse magazines.